Red Hat ladies like to dress up and accessorize with lots of bling! These Australian businesses selling Red Hat inspired items are helping to support the Red Hats Victoria website, so please visit their stores to see the wonderful products they sell. 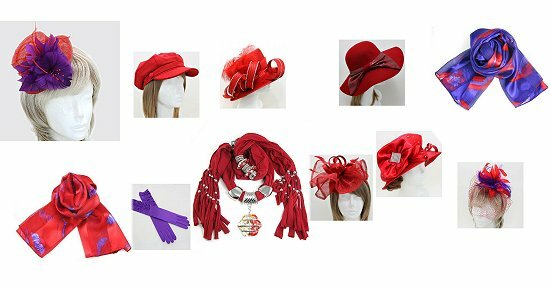 Hand made jewellery and accessories for the Red & Pink Hat Ladies. European Bracelets, Earrings, Rhinestone Bling brooches, Bling Sashes, Kazoos and More! RedHatShop4U has all your Red Hat needs with a wide variety of merchandise including Stationery, Apparel, Jewelry, Hats and more. I love to attend Chapter group events and bring my Goodies along….. so please contact me to organise my ‘Bling’ at your next function. 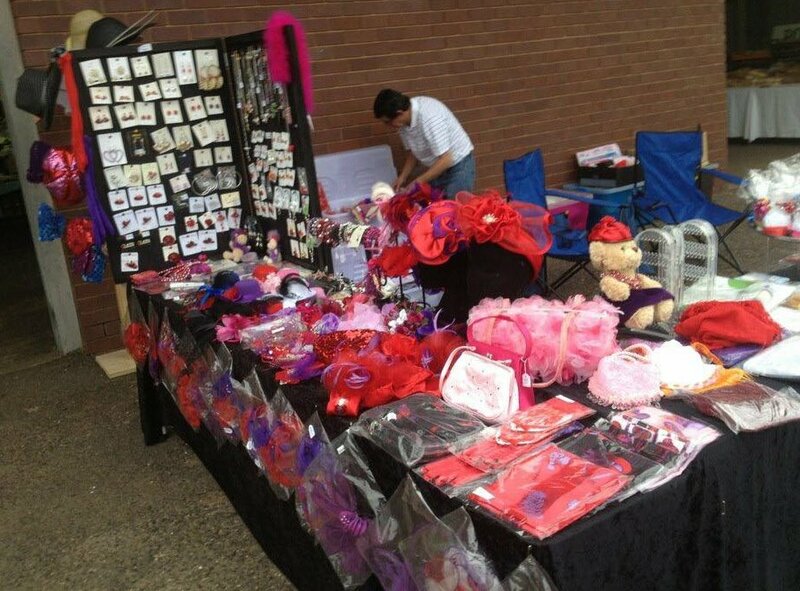 Sunshine Avenue has many treasures for all sorts of Red Hatting occasions, with such things as custom made rhinestone name badges, necklaces, earrings, rings, brooches, scarves, hats, crafting supplies, umbrellas & a wide variety of $5 items. We are also pleased to offer our services at any event no matter how large or small, e.g. your chapter meetings, any inter-chapter events, crafting days or just a intimate private in house gathering. For further details please do not hesitate to contact me through my email, FB page, on my mobile or just follow the link below. If you sell products that would interest ladies of the Red Hat Society, and would like to have your business listed here, please contact us. Advertisers are asked to make a $5 donation to help contribute to paying for the running costs of this website. This entitles you to 1 year worth of advertisement on this page, as well as an advertisement placed in our quarterly newsletter. Posting advertisements to our facebook page is allowed by request.